Officially open in New York City is the much acclaimed Hudson Yards. The largest private real estate development in the United States since Rockefeller Center, Hudson Yards is made up of 18 million square feet of commercial and residential space. Eight structures containing a mall, residences, first Equinox hotel, office buildings, a cultural facility and 14-acres of open space. Located between 30th and 34th Streets from 10th to 12th Avenues, Hudson Yards sits at the northern terminus of New York City’s elevated park, the High Line. Co-developed by primary developer Related Companies and major equity partner Oxford Properties, architectural firm Kohn Pedersen Fox designed the master site plan Skidmore, Owings, and Merrill, Thomas Heatherwick, Roche-Dinkeloo, and Diller Scofidio + Renfro contributed to the innovative individual structures designs. 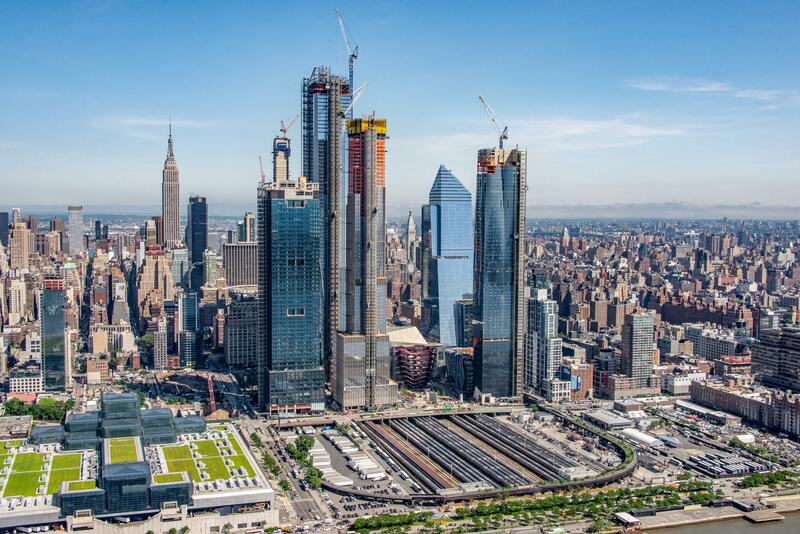 When Hudson Yards is fully completed, an estimated 125,000 people daily are expected to work, live, dine, shop, study, stroll or sightsee in this 28-acre Westside neighborhood. 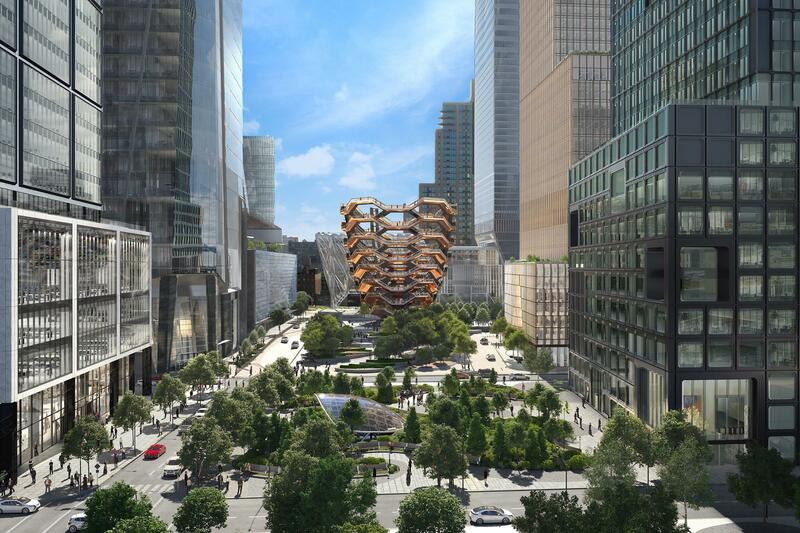 One of the most notable features of Hudson Yards is the permanent art installation by British Designer Thomas Heatherwick. 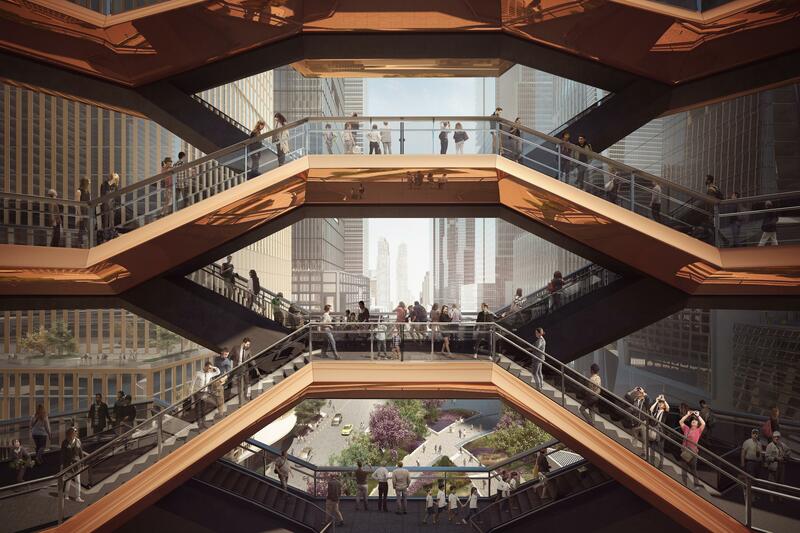 Vessel ( or Hudson Yards Staircase) was inspired by Indian stepwells, and the 16-stories contains 154 flights of connected staircases, 2500 steps and 80 landings in a honeycomb-shape in the Hudson Yards Public Square. The total length of the stairs is over one mile, but once you reach the top, you are rewarded with a view of the Hudson River coastline. The Shops & Restaurants of Hudson Yards contain over 100 shops and 20 restaurants, and are as diverse as New York City itself. Check out London favorites Wild Ink and Queensyard, Estiatorio Milos, Kāwi, Belcampo, Tak Room and Hudson Yards Grill. Chefs represented include David Chang of the Momofuku empire (Kawi, Peach Mart), Michael Lomonaco (Hudson Yards Grill), Costas Spiliadis (Estiatorio Milos), Anya Fernald (Belcampo) and Chef Thomas Keller (TAK Room). 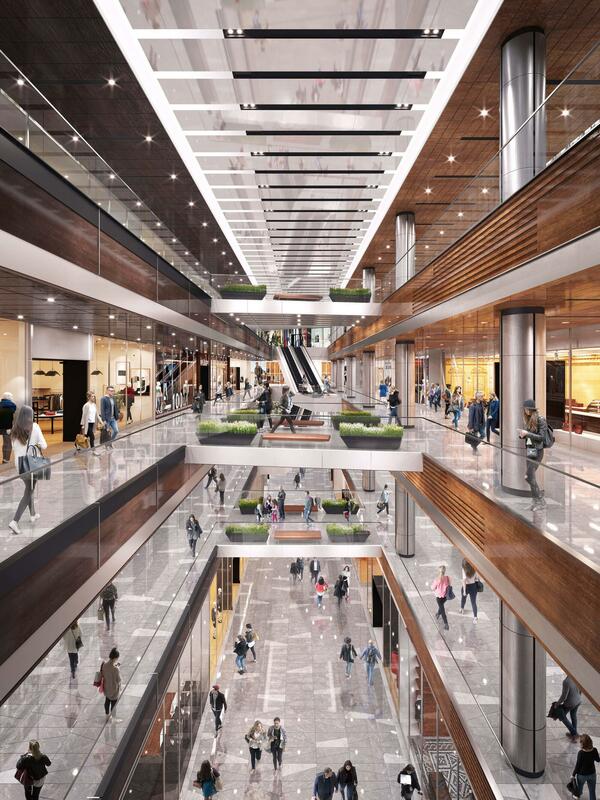 Neiman Marcus is the anchor tenant, occupying the top 3 levels and 1/4 of the mall with 250,000 square feet. Other high-end retailers including Cartier, Chanel, Dior, Fendi, Louis Vuitton, Piaget, Rolex, Van Cleef & Arpels and Patek Philippe with a mix of trendy store like Zara, H&M, Madewell, Uniqlo and Sephora. An array of experiential and online retailers are setting up shop at Hudson Yards. Check out Mack Weldon’s first-ever store, Rhone’s first-ever store and M. Gemi’s first permanent store in New York City. 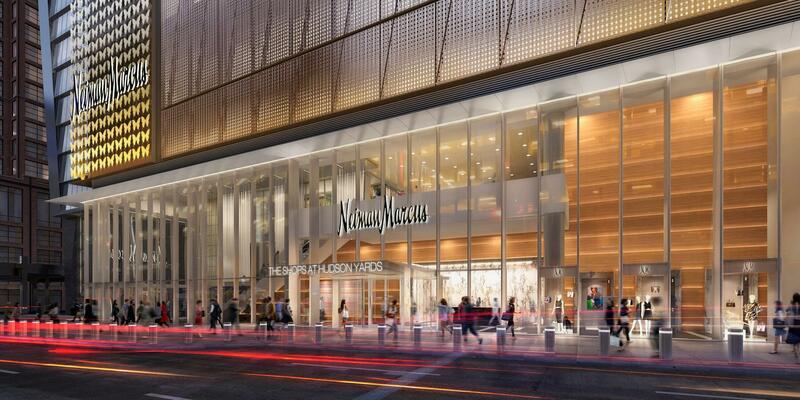 Hudson Yards will also be home to concepts and brands not found anywhere else in New York City, including: The Conservatory, an inventory-less luxury boutique; Heidi Klein’s first U.S. store; MUJI’s experiential retail store featuring a coffee bar; 3DEN, a pay-as-you-go rejuvenating lounge; and more. Mercado Little Spain by renowned Spanish chefs José Andrés and the Adrià brothers is the Spanish version of Eatly, featuring 35,000 square feet of everything you could imagine from a contemporary Spanish Market. Three full service restaurants, coffee shop, food stalls, tapas, wine, cocktails , souvineurs and flowers are all here. Mercado Little Spain is overseen by Chef Nico Lopez, with menu development by Ruben Garcia, Creativity Director for Andrés’ ThinkFoodGroup. 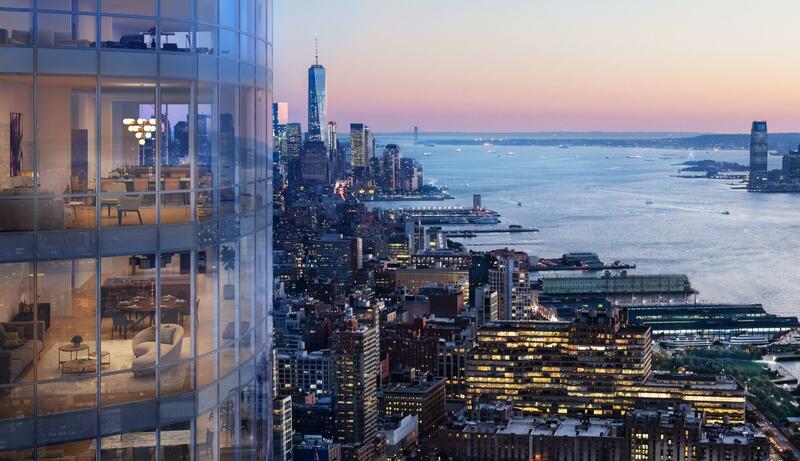 Two residential buildings (15 & 35 Hudson Yards) will be the home to 4,000 urban dwellers. These luxury apartments feature hand selected materials, world-class amenities, high ceilings, stunning views and hospitality service. 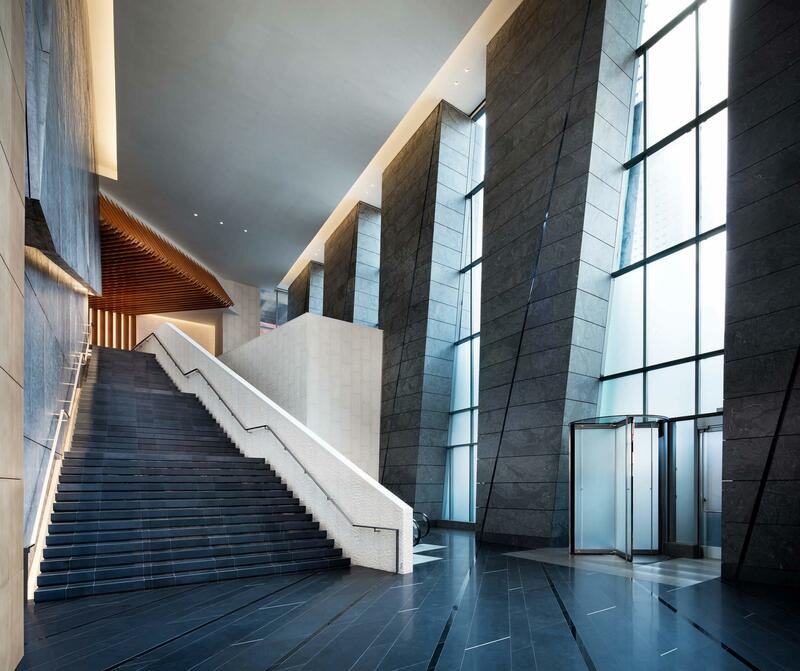 At 15 Hudson Yards, residences feature state-of-the-art features, from filtered fresh-air ducts to Lutron home automation, as well as in-building-only amenities, including fitness and aquatic centers, private spa and beauty bar, 24/7 concierge-attended lobby, screening room, golf club lounge, wine storage, pet services and the highest outdoor residential space in the city. 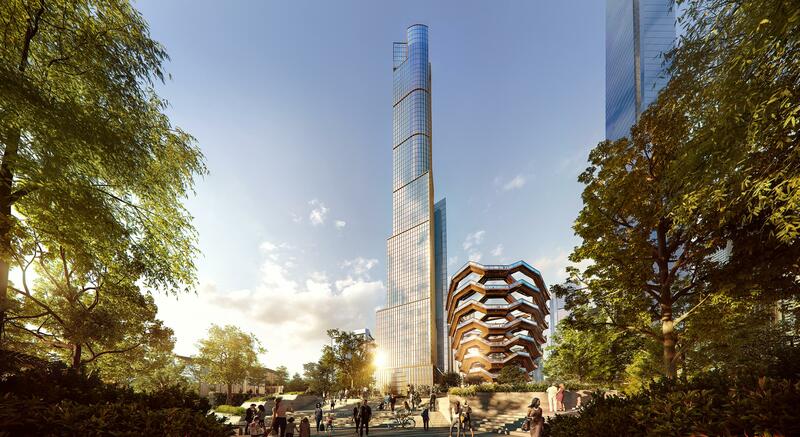 35 Hudson Yards is being touted as the ultimate lifestyles building. In addition to residences, 35 Hudson Yards is home to a flagship Equinox® fitness club and spa, SoulCycle®, three spectacular culinary experiences and the world’s first Equinox Hotel®. The residences will begin on the 53rd floor, with their own amenities: panoramic views, interiors by designer Tony Ingrao, priority reservations at the in-building restaurant by Stephen Starr (with round-the-clock in-residence dining services), residents-only private fitness center and meditation room, billiard lounge, golf simulator lounge with minibar, boardroom and private office suites, screening room, library, private dining room, children’s playroom and an event space that can seat more than 50 guests. Working at Hudson Yards is the ultimate merge of lifestyle and technology. The first building to open signed a roster of world-class fashion, technology, consulting and beauty brands. BlackRock, the world’s leading investment management group, will occupy 850,000 square feet across 15 floors at 50 Hudson Yards.